Curve Digital is a publisher and developer that rarely fails to impress, and when we were invited down to its HQ to play a new title it's bringing to the Wii U we couldn't refuse. 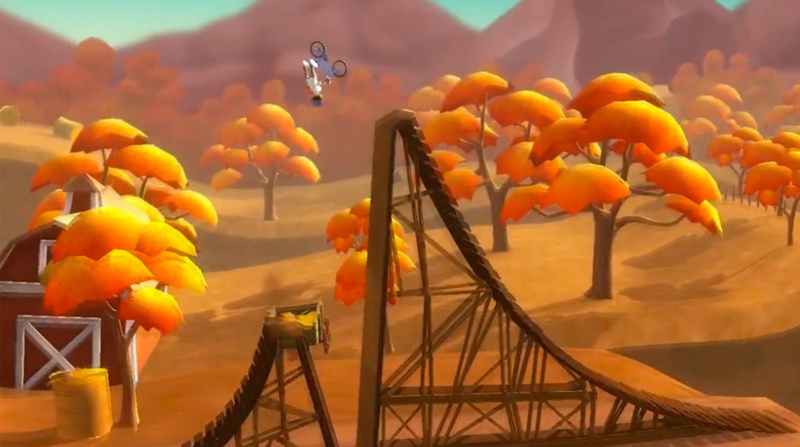 Pumped BMX+ is a game not dissimilar to OlliOlli, a previous title from Curve, the difference being that this time not only are you riding an entirely different and 3D-rendered vehicle, but tricks aren't the only thing you've got to worry about. The primary aim of the game is to simply get from one end of the course to the other, but you won't be getting far if you stick to the absolute basics. In order to progress to the next stage you have to find moments to perform as many of the dozens of tricks available in order to score enough points. These tricks can slow you down, throw off your timing, or fiddle with your momentum making the task of just getting to the end a lot more challenging. In order to try and help us from embarrassing ourselves we were lucky enough to have world-renowned BMXer Dan Lacey show us the ropes in the game and even on a real-life BMX with mixed results. Make sure you give the video below a watch to see how the game looks in action as well as an interview with developer Adam Hunt and previously mentioned Dan Lacey, plus you get to see this reporter fall off a BMX, what more could you want? Be sure to keep an eye out for our review coming very soon! 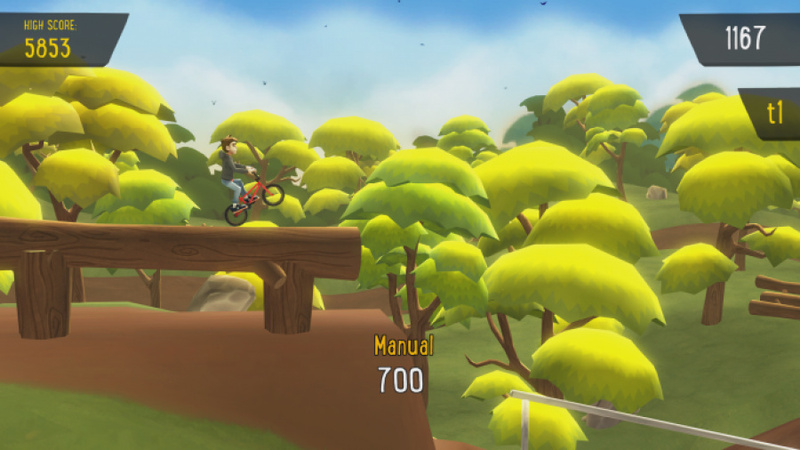 Pumped BMX is making its way to Wii U eShop on the 24th September. Looks nice but I don't know if it offers something new when you already have OlliOlli. I'll pick it up eventually, but maybe not for the full price. What was that at the end? And they say a reviewer's life is boring and without risks, HA! The closest to another Unirally, maybe. And so, a new meme was born! 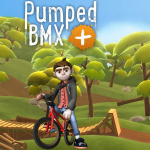 I've had a lot more fun with Pumped BMX on my Android than OlliOlli on my 3DS and I love both skate and BMX. Pumped has much more intuitive controls in my opinion whereas in OlliOlli I feel I'd have to keep practicing to get decent. You can get really technical with tricks in this game but if you don't take off the jumps right and land smooth then you won't get through the rest of the jumps. Pumped BMX is good either for just flowing through the courses nose-diving into each jump or trying the craziest tricks and still landing smooth. The Trials games comparison is a good one except Pumped isn't nearly as frustrating.